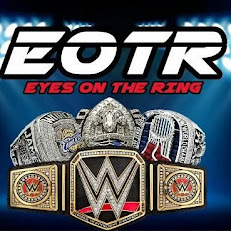 Hello ladies and gentleman (and more importantly Ringers), we are officially one week removed from the ROH 13th Anniversary Show (for my review, click here), but now it’s back to your regularly scheduled reviews of ROH TV, so lets get it going. The show opens up live from the 2300 Arena (Former ECW Arena) in Philadelphia Pennsylvania. We pan around the arena and go to the commentary booth where Kevin Kelly and Steve Corino welcome us to the show. From there, they send us to the ring for our first match of the evening. Thoughts: The match starts with Lethal and Kazarian as they trade a few offensive moves, until Lethal tells Kazarian, “I want the old guy”. From there Kazarian makes his way towards his corner and tags in his partner, which brings Christopher Daniels into the match. Lethal quickly tags in Diesel, but Daniels clotheslines Diesel and Diesel falls to the mat. From there, Kazarian capitalizes by delivering an elbow drop to score a near fall for his team. Later on Diesel hits Daniels with a backbreaker for a near fall situation before tagging in Lethal. Kazarian is positioned on the outside of the ring and Lethal uses his partner as a launching pad as he dives over Diesel onto Kazarian. Lethal gets back into the ring and Daniels slingshots over the top rope to deliver an Ace Crusher. Diesel tags in and hits a Fall Away slam on Daniels as Lethal follows it up with Hail To The King, but Kazarian quickly breaks it up before a pin can happen. The finish of the match comes when Lethal rolls up Daniels after Daniels gets distracted by one of the members of the Knights Of The Rising Dawn, who made his way out to the ringside area sometime during the match. Result: Jay Lethal and J. Diesel defeat Daniels and Kazarian when Lethal rolls up Daniels thanks to a distraction from one of the KRD members. From here, we go to the second match of the night, which is the finals of the 2015 Top Prospect Tournament. Thoughts: The bell rings and the two waste absolutely no time in going at one another. The two men trade lock ups and move into one of the corners of the ring where the much bigger Dijak gets the upper hand over the much smaller Ferrara. Dijak maintains control over Ferrara and sends him into the ropes and delivers a big boot to the face for a near fall as we go to a commercial. Back from commercial and Dijak sends Ferrara off of the ropes and kicks him down once again for another near fall. Ferrara recovers and manages to get Dijak down on the mat where he locks him in a short-armed scissors for an attempted submission. From here, Veda Scott, Stokely Hathaway and the Decade make their way to ringside. Meanwhile, back in the ring, Dijak hits a springboard elbow drop on Ferrara for a near fall. Ferrara recovers and gets the upper hand on Dijak and delivers a huge Tornado DDT out of the corner for a close 2 count. Ferrara rolls out to the floor and Dijak manages to hit a moonsault to Ferrara on the outside of the ring. The two make their way back into the ring and reset momentarily before Dijak is able to hit Feast Your Eyes (burning hammer into a facebuster) on Ferrara to get the pinfall victory and secure the win in the 2015 Top Prospect Tournament. This was a very good match, I’m happy with how this tournament turned out since it was so poor in the beginning. Result: Donovan Dijak defeats Will Ferrara via pinfall after Feast Your Eyes to become the 2015 ROH Top Prospect Winner. From here, Veda Scott makes her way to the ring along with Truth Martini and they both vie to be his manager. I loved this because it’s a great way to put instant importance on the guy and I’m intrigued to see where he goes in 2015. The dude impressed the hell out of me during the Top Prospect Tournament and I can’t wait to see what he can do when he gets his TV title opportunity against Jay Lethal in the coming weeks. Next up? Our main event, a tag team match this week. Thoughts: The match starts when the Decade jumps both members of reDRagon from the bell. ReDRagon quickly get the upper hand, causing both Page and Whitmer to make their way to the outside of the ring. From here, reDRagon launches themselves over the top rope simultaneously to hit stereo planchas on their opponents. Back in the ring and the bell finally rings, as O’Reilly gets Page on the ground and drives a knee into his face. O’Reilly picks Page up and Fish puts his boot on the top rope. From here, O’Reilly grabs Page by the head and runs him face first into Fish’s boot. O’Reilly tags in Fish who hits a float over suplex for a near fall. Fish quickly tags O’Reilly back into the match and O’Reilly grabs Page by the arm and ties him up in the ropes with an armbar. Meanwhile, on the outside of the ring, Whitmer traps O’Reilly in the apron as he tries to come to the outside. From here, Whitmer and Page both take turns kicking O’Reilly in the head as we head to a commercial break. After the break, we are back in the ring and Whitmer hits O’Reilly with a powerslam and gets a 2 count. Whitmer picks up O’Reilly and delivers an exploder suplex, but Fish runs in before a pin can even occur. Whitmer tags out to Page, and as Page comes in, Fish catches him with a falcon arrow and gets a near fall. Fish hits a tilt a whirl backbreaker on Page and O’Reilly follows it up by coming off of the top rope with a knee for a 2 count. The finish of the match comes when O’Reilly makes Page tap out to an armbar to gain the submission victory and retain their tag team championships in the process. Result: Kyle O’Reilly and Bobby Fish defeat Adam Page and BJ Whitmer by submission, when O’Reilly makes Page tap out to an armbar to retain the ROH tag team championships. After the match, Corino makes his way into the ring and gets into it with Whitmer. The two start brawling with one another and we go off of the air for the week with everyone that’s in the ring trying to pull them apart. That will do it for me and the ROH Review. Hopefully you enjoyed the double dose of ROH this week as I presented both this show and the anniversary event.